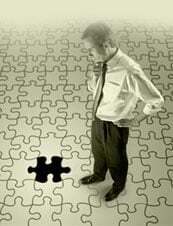 There are various ways of evaluating the possible solutions to a problem. The criteria of effectiveness which you defined to guide your search for solutions are inadequate to make an effective evaluation. Each solution may differ slightly or radically in the way and the extent to which it achieves your various goals. To be able to evaluate these effectively' you need to construct a model of the ideal solution against which to measure them. Basically you need to identify and compare their relative values. This information must be recorded and presented in a meaningful way to aid comparison. It can also be used to persuade other people to accept the decision and help to communicate the solution to those involved in its implementation. What are the results required? What are the benefits desired? Any there obstacles or causes that need addressing? If the solution will be acceptable to the relevant stakeholders? What is the minimum acceptable result? What are the maximum level of disadvantages that are acceptable? Are there any other factors that must be considered? Decisions are not always made by choosing the optimum mix of all the criteria of effectiveness. Satisficing - refers to the selection of any solution which achieves a minimum set of requirements. It could be used when there is insufficient time for a detailed evaluation of all the options or insufficient information for a full evaluation. Maximising - refers to giving preference to one particular evaluation criterion eg employ the individual with the best telephone manner. This could be used when one criterion has a particular significance and when there is insufficient time or information for a full evaluation. Is it an accurate reflection of what would be ideal under the circumstances? Does it take account of the needs of all the people involved? Are there any conflicting or inconsistent results required? Are the relative values you have given the criteria free from bias or other distortions? Do they conform to departmental and organisational policies? You are now ready to begin evaluating your solutions. The method described below is intended to reduce the amount of time required for evaluation by first eliminating solutions which do not meet the constraints. At this stage you examine each solution in turn and reject those which do not meet all the constraints you have. Each of the remaining solutions is now examined to see how well it provides the results required. Although the solution you have chosen offers the best balance of benefits versus disadvantages, you need to examine the possible risks associated with this solution to ensure that they are acceptable and to identify areas where risks could be minimised. When you make a decision. you commit yourself to a particular course of action and take responsibility for its consequences. If you do not make this commitment you have not made a decision, so you can't proceed any further and you will not solve the problem. The 'best' solution is often a compromise between conflicting needs and between the advantages and disadvantages of the various options. Solutions which don't meet the constraints of the situation must be rejected. The best of the remaining options is generally the one which fits the ideal solution most closely, although you may use a different selection strategy. Before you accept a solution you must decide if any associated risks are acceptable.